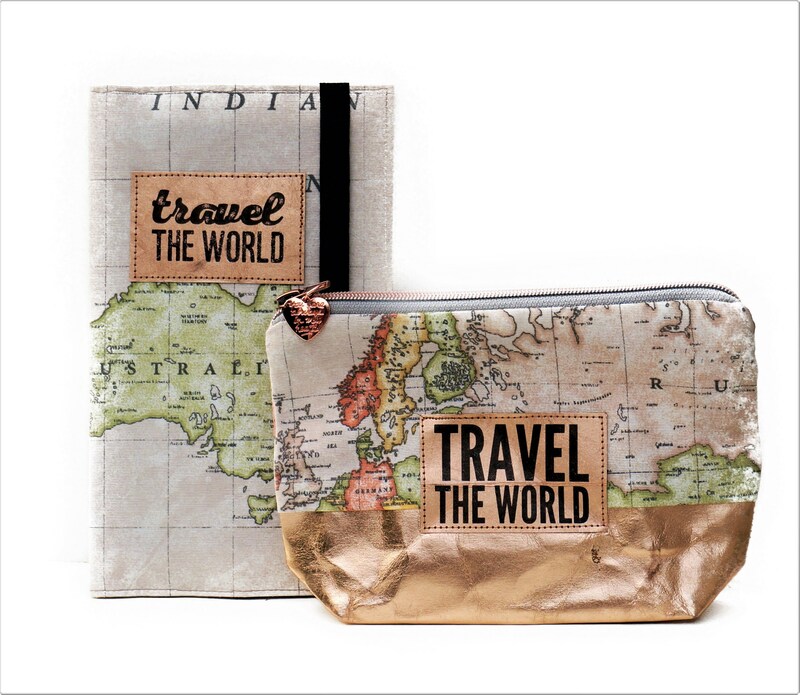 Practical travel case with world card print with Australia on the front and a classy rose gold inner life! 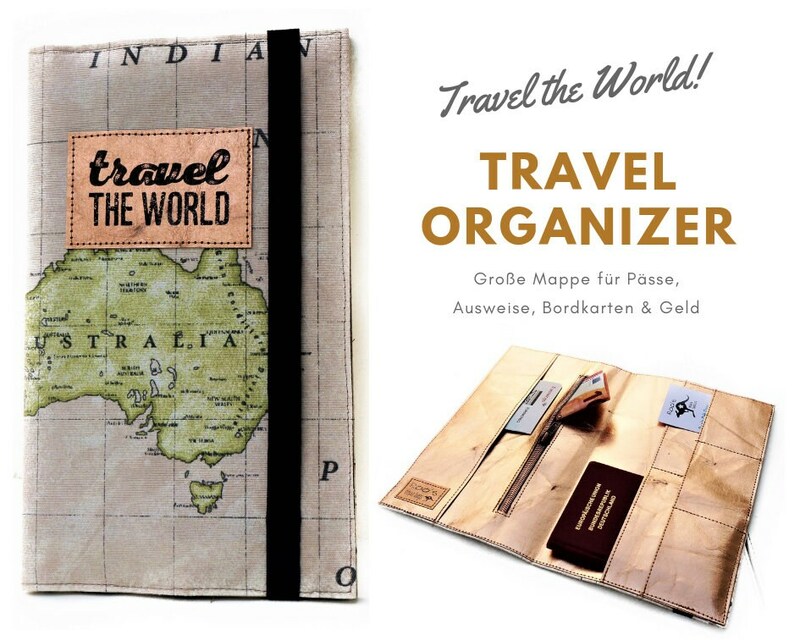 This handy portfolio for travel documents in world maps design has room for 2 passports, ID cards, boarding passes & money. 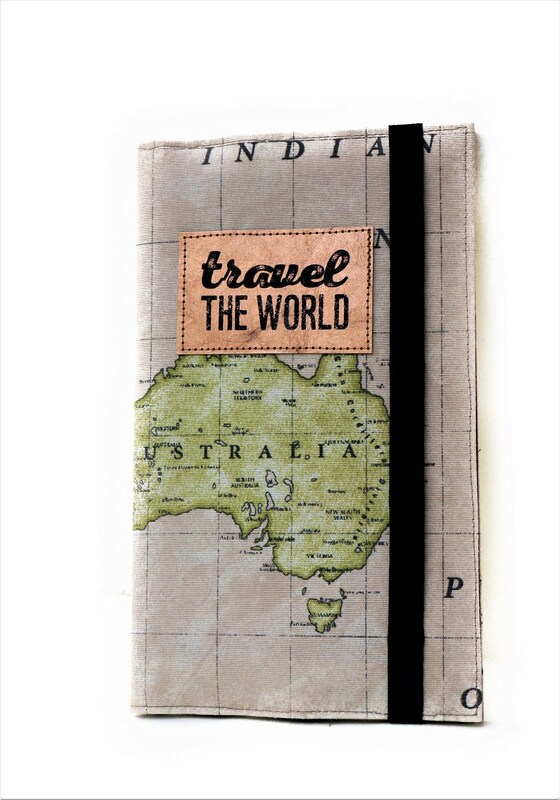 The binder is closed with a 15 mm wide black rubber band. 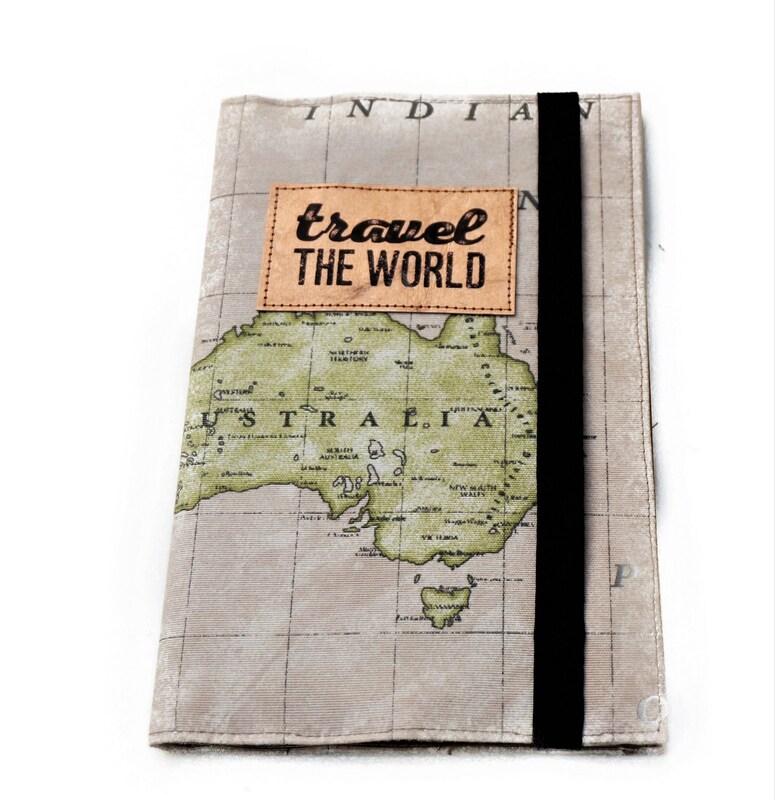 On the outside, the folder is made of beige cotton polyester fabric in world map DESIGN. 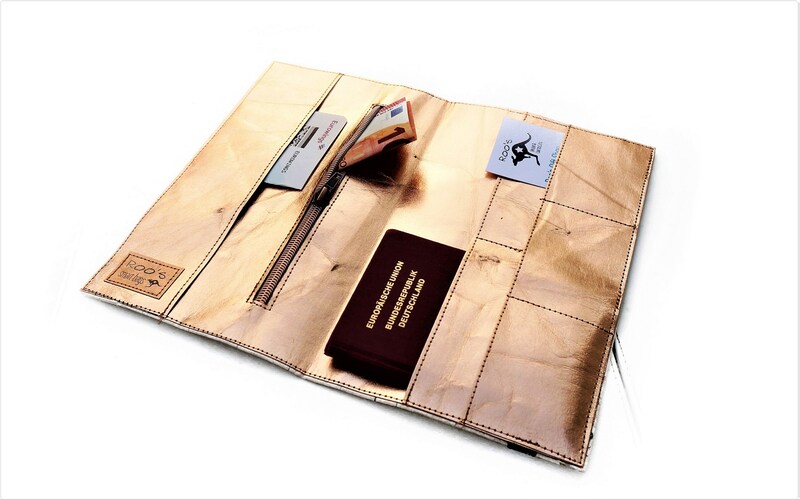 Inside it is made of vegan leather (washable paper in leather look-similar to SnapPap) in Rose GOLD. 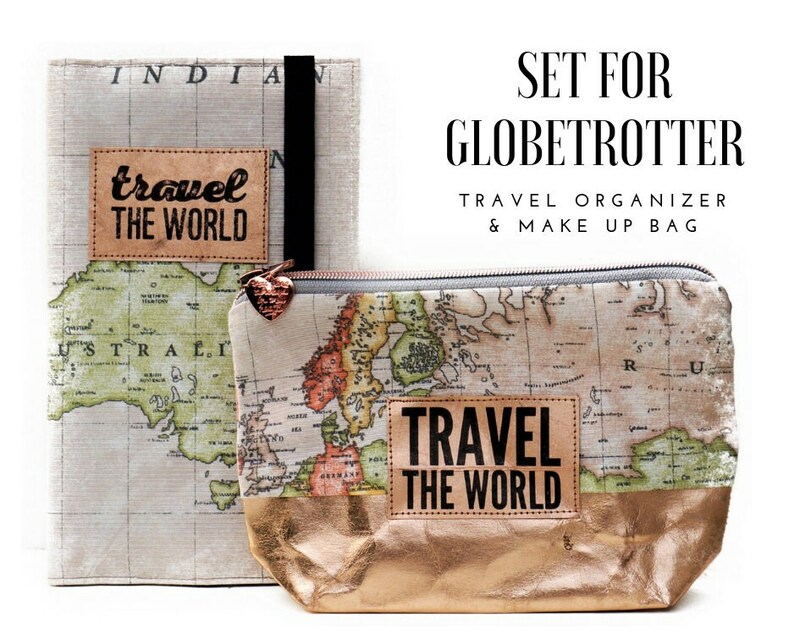 Who likes, buys the whole set for globetrotter. 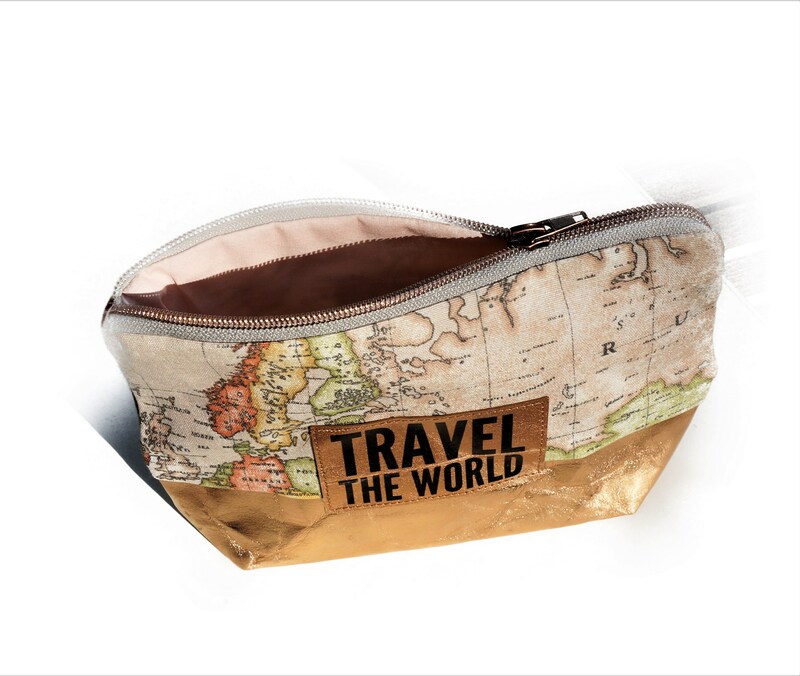 Then there is a suitable cosmetic bag in the format 22 cm x 16 cm x 5 cm. 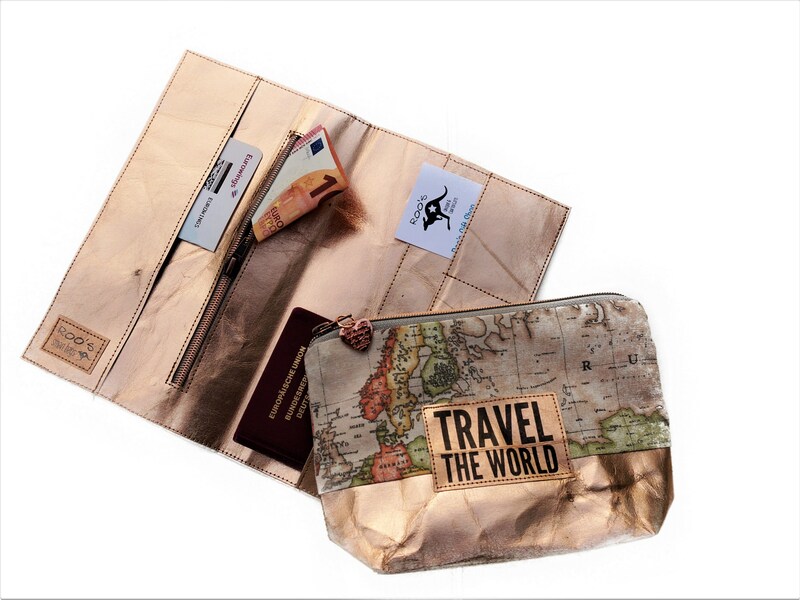 The bag is processed from the identical fabric with the Roségoldenen washable paper. 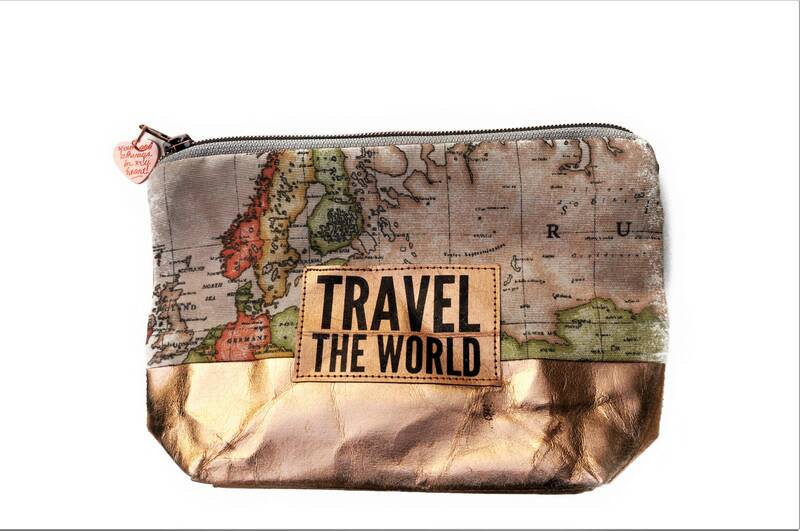 It is lined in with pink cotton and close with a copper Metallreisserschluss. 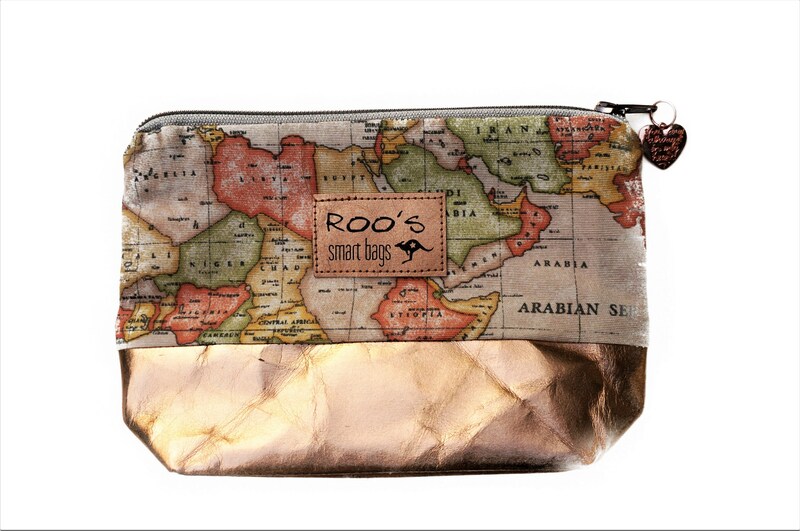 A Roségoldenes heart with the label "you are always in my heart" hangs on the Zipper.